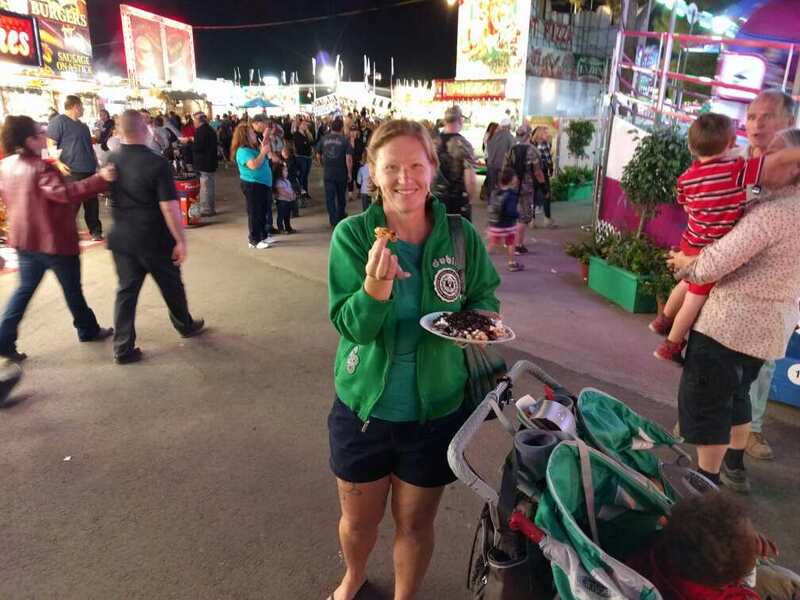 We are doing our best to get out and see the sights now that we're back in the States and when I saw that it was time for the county fair, I knew we had to go. 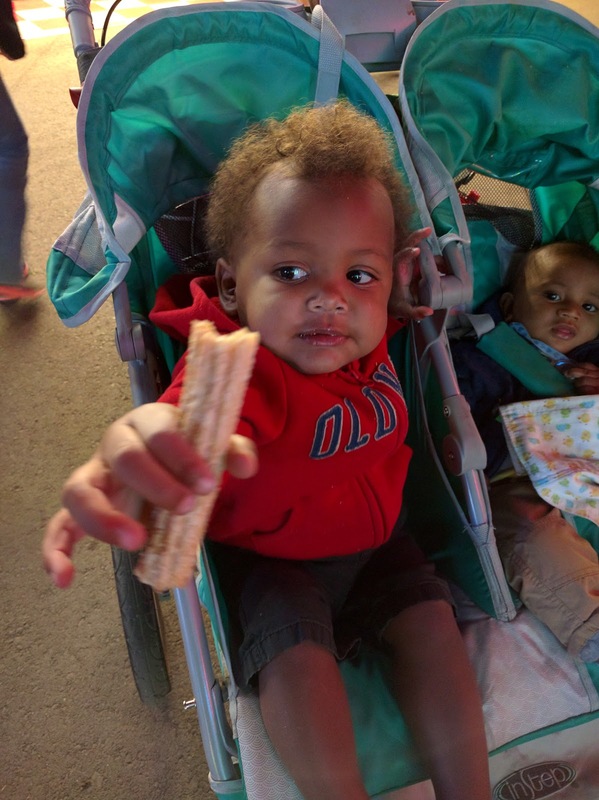 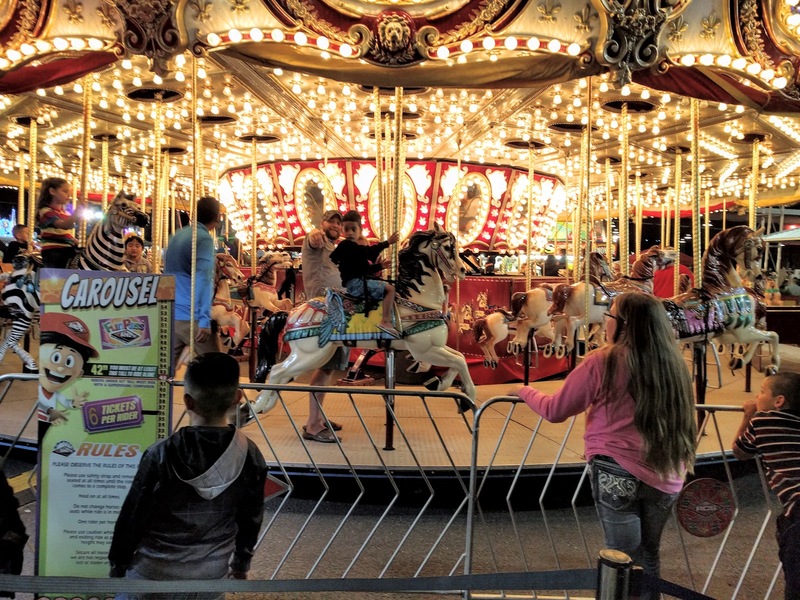 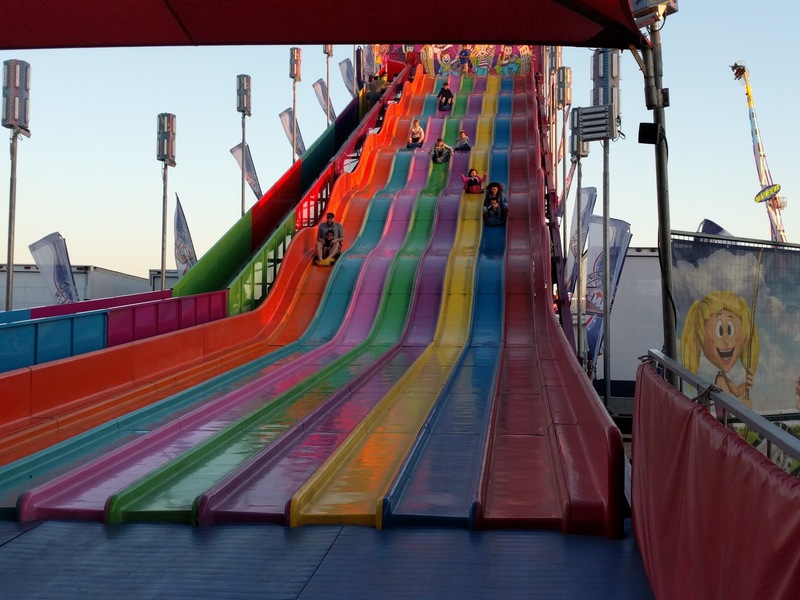 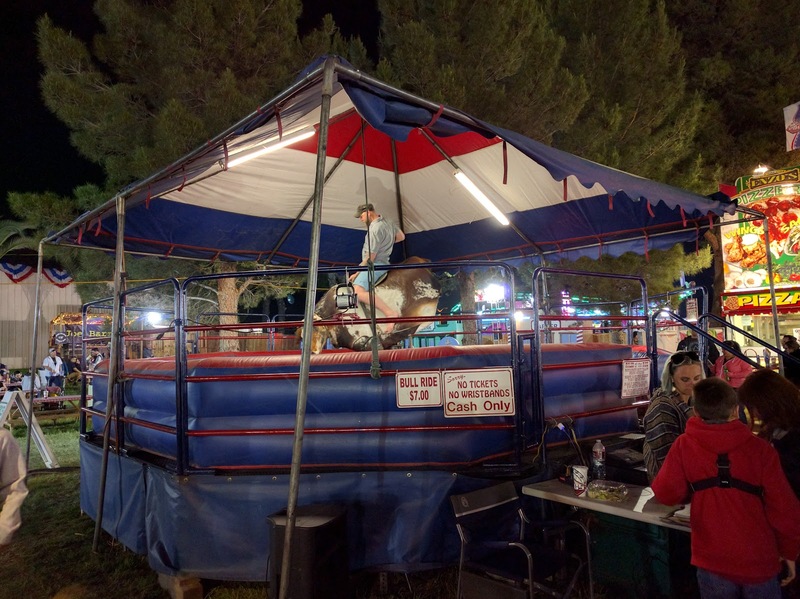 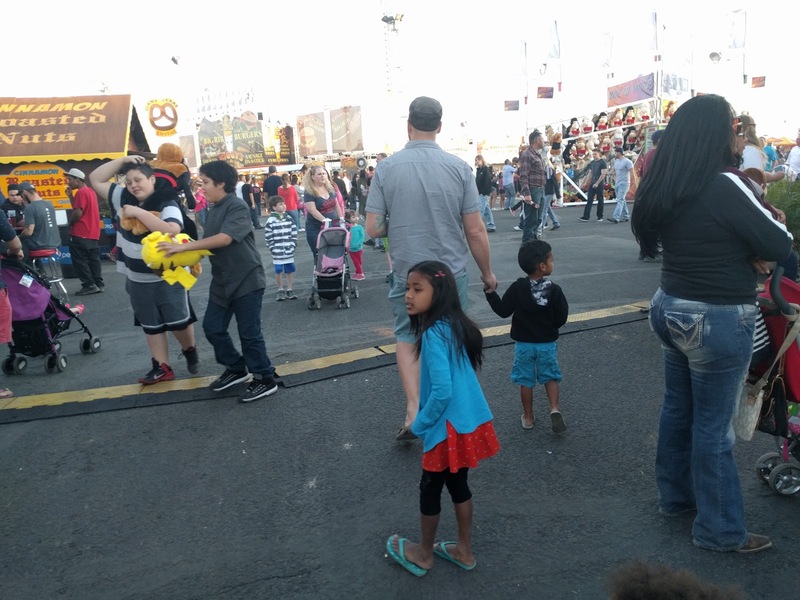 We had an early dinner at homew (cushion for the sugary onslaught that was sure to come), packed up the kids, the stroller, and sweaters against the night desert chill and headed up to the fairgrounds. 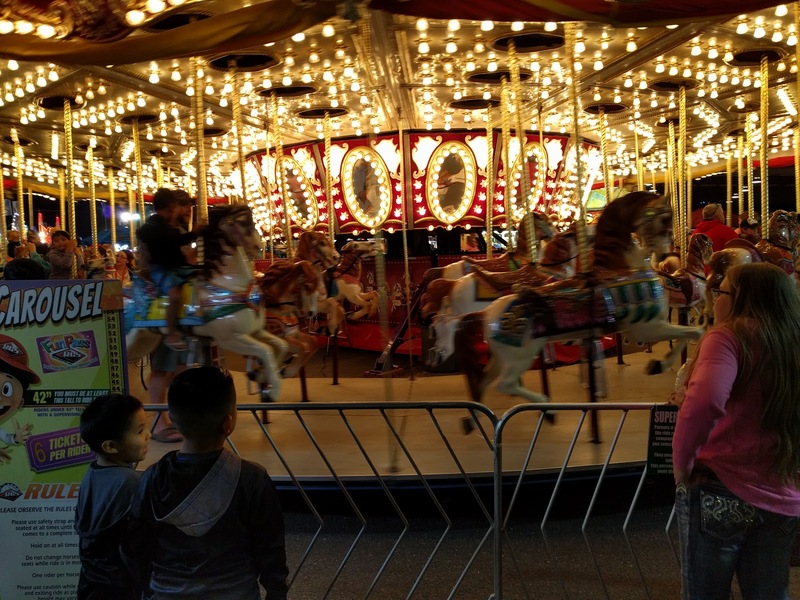 We got there late enough that we missed the animal exhibits but we all had a blast strolling around the midway. 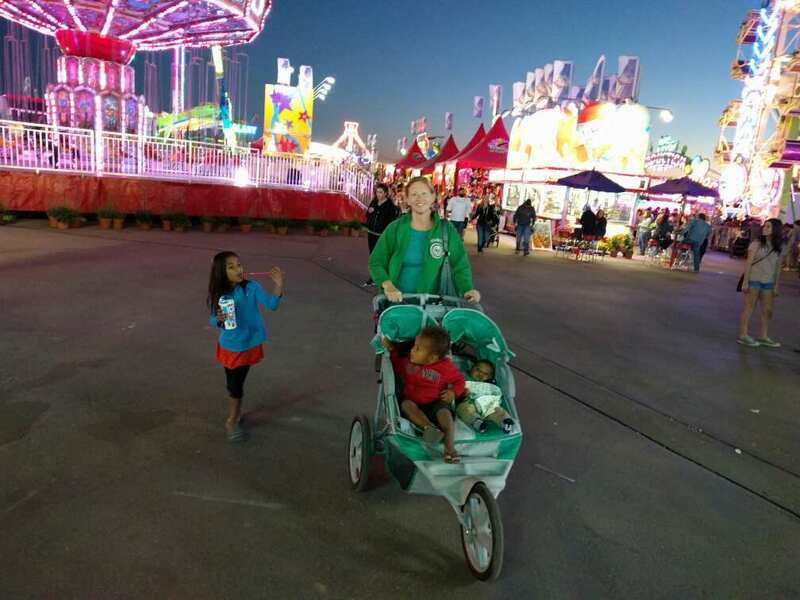 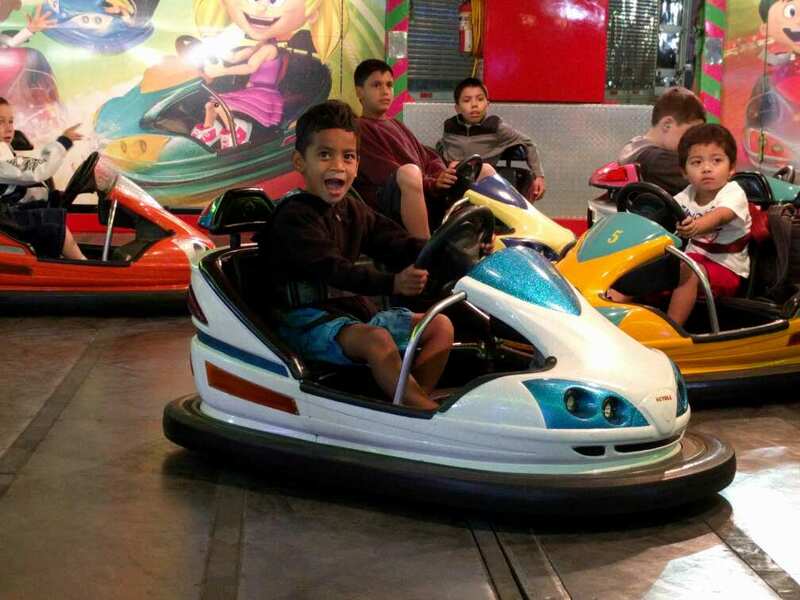 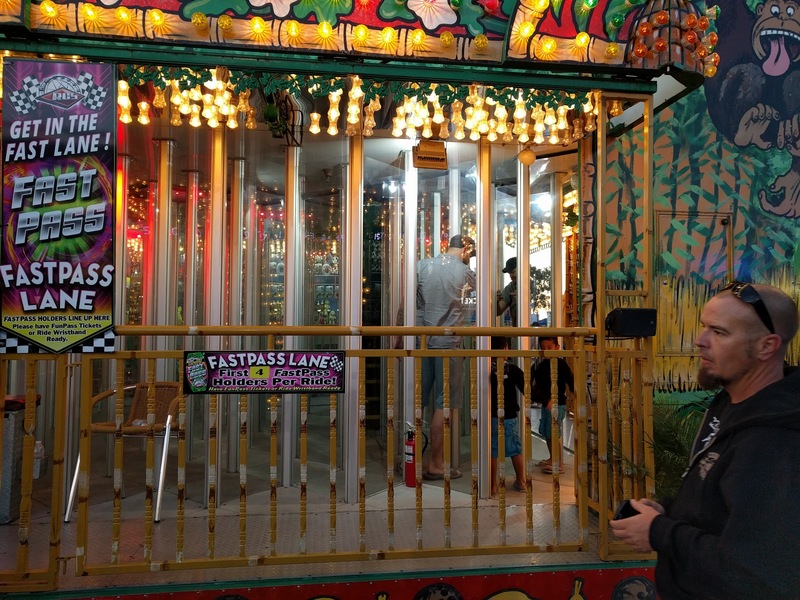 The kids couldn't take their eyes off the lights and went on as many rides as they could. 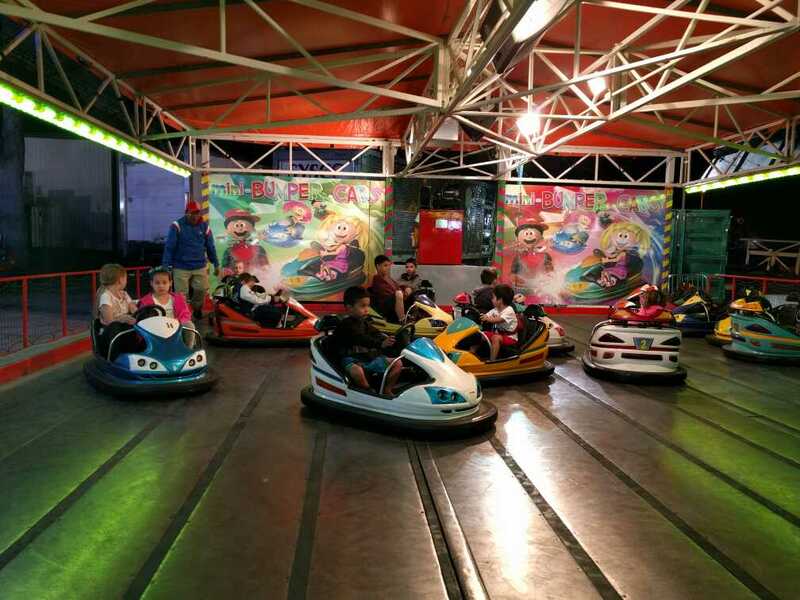 With for little kids, it could have been a disaster but everyone had a great time and we all left smiling. 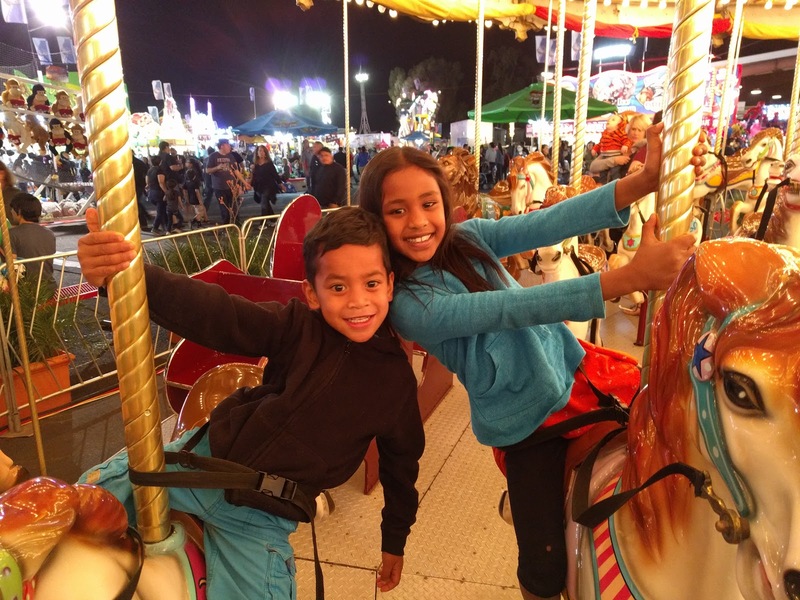 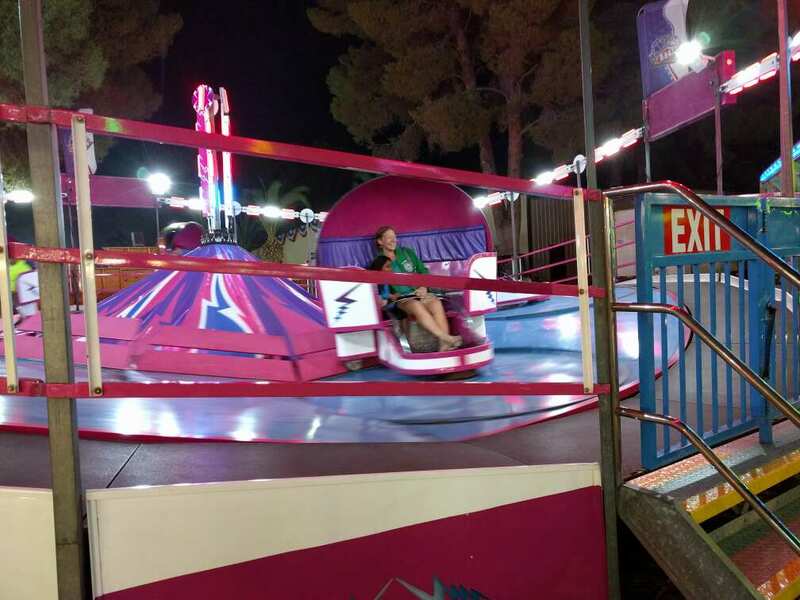 Thanks for a fun night out, Pima County Fair! 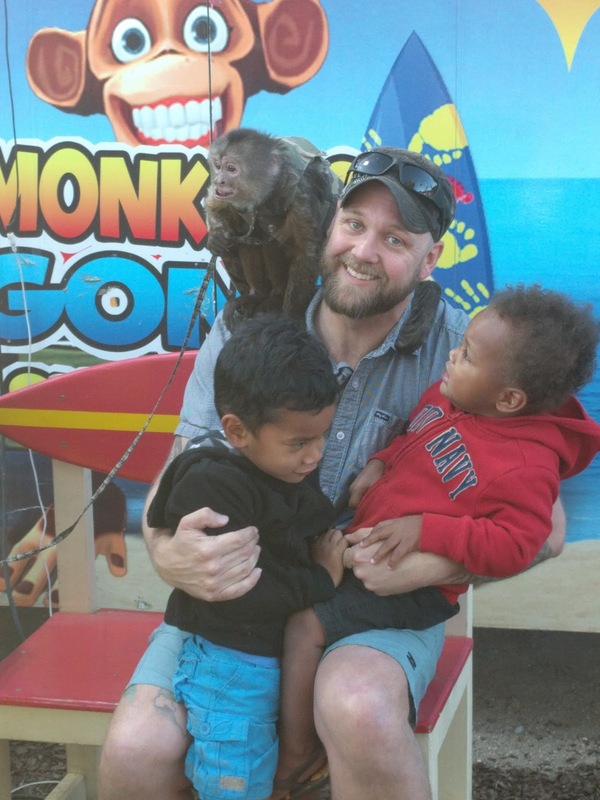 Any chance to engage with animals will be taken (see this post about tigers and this post about leopards as prior examples), although Water was a bit freaked out by the experience. 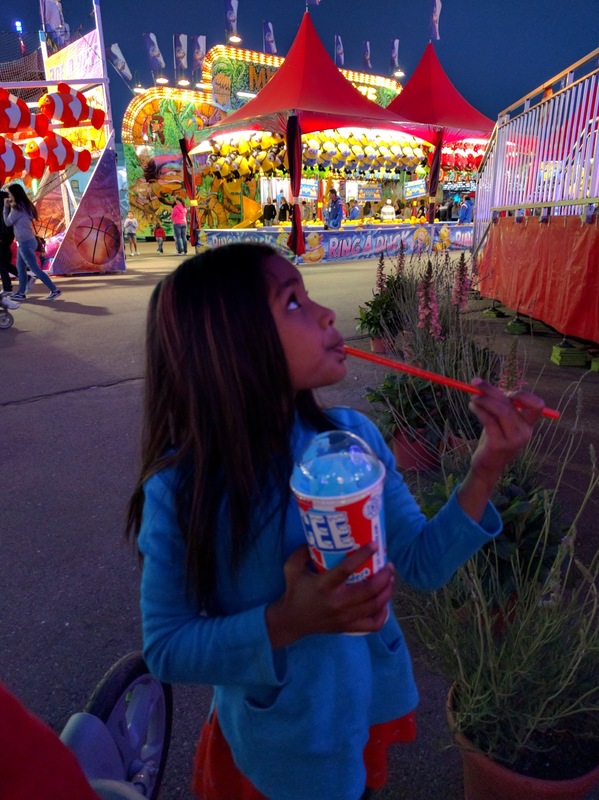 Slurpees, churros, and funnel cakes, oh my!